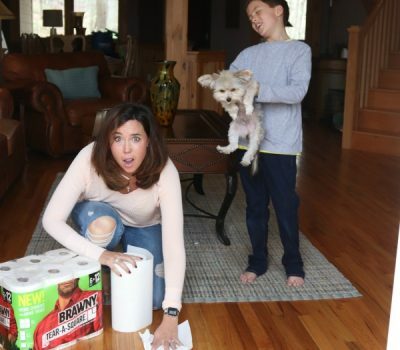 As a mom, I’ve discovered that my children’s lives are not always marked by big moments but instead are often defined by the little moments where memories live. Now, don’t get me wrong…there have been plenty of big moments for both of them; first steps, first words, first days of school, even first dates for my oldest. Those moments have been special. They have been memorable. But when I look back at my years as a mom, the moments that are really remarkable are the smaller ones; the late night cookies and milk when it’s been a tough day, the milkshakes to celebrate straight A report card, the can-I-crawl-up-in-you-lap-mama moments that seem to happen less and less often. Those are the moments that are real for me. They are the moments when I feel most connected with my kids and most fulfilled in this role that I’ve been given. While I’ll never stop celebrating the big moments because, well, that’s just what I do, when my house is quiet and my kids are out in the world chasing after their own dreams, the real moments like those fun afternoons filled with cookies and milk(shakes) or those unexpected evening conversations where I get a glimpse into one of their precious little souls will be the ones that are imprinted on my heart. 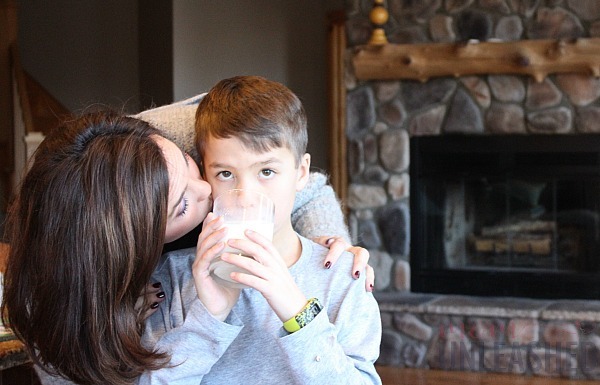 Being a mom of boys, connecting with my kids can feel like a challenge, especially as they get older. Where I was once the boo-boo kisser and problem solver that could fix anything, the more they grow, the more they look to their daddy for guidance and direction. He teaches them how to throw balls and fix tires. He shows them how to tie ties and shave whiskers. As they lean more and more on him to learn how to be young men, my role in their lives continues to change. However, one thing that I hope will never change is my ability to connect with them over what’s going on in their lives. It is my greatest wish as their mom to continue to create real moments with them. That’s why for us, real moments happen with milk in our hands. 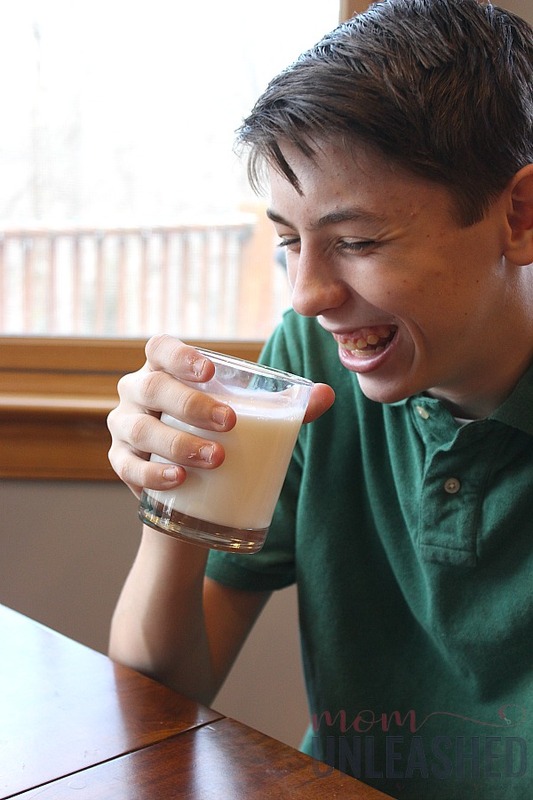 Milk Life realizes this and is celebrating real moments through their Milk. 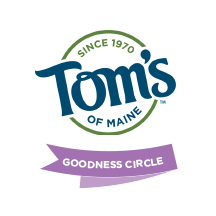 Love What’s Real sweepstakes. I’ll be sharing more about that with you later as well as telling you how sharing your real moments can help you win year’s worth of free milk. But before we get there, I want to share with you the real moments that I treasure with my children. With my littlest, this is still fairy easy. He still comes to me when he wants to read a book and snuggle and he’s just barely still small enough that he can crawl up in my lap, wrap his arms around my neck and fill my heart with love. As I read his favorite book (or more often now, let him read it to me) while he sips on a glass of milk, he’s not afraid to lean into me a little closer, rest his head on my shoulder and let all the worries of his little world fade away. I know that for him, I’m still the fixer in some ways and I adore that he still knows I can offer him comfort in a real way simply by pouring him a glass of milk and sitting down to wait for him in our favorite rocking chair. My oldest is a little harder to create those moments with though. Now that he’s driving, he’s home less and those moments where we can really connect are fewer and further between. 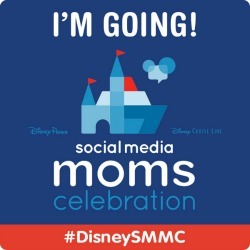 When he is home, he’s at his desk doing homework or messaging with his friends trying to plan out his social calendar (you moms of teens totally get what I’m talking about right?). So, it’s those rare moments where he disconnects from his phone and sits down at the table with me when I can really find a way to fit back into his life like I used to when he was a little boy. Conversations that start out simple with me asking what’s happened in his day can begin to morph into something more. There are those rare moments where he begins to open up and gets animated as he shares with me some funny story of what happened in his day. Suddenly, the cape of teen-silence that so often surrounds him will fall away and he’s once again my little boy who wants nothing more than to share those big and small moments in his life with me. It’s then, when his guard is down that I see glimpses of not only the joyful child he once was but also the great man that I know he’s going to be. It’s in those real moments that I know we’ll not only make it through these teen years but we’ll come out of them stronger. It’s in those moments that I see that while his daddy is his guide through this stage of his life, in a way I’m still his north star. While the achievements, experiences and sometimes even disapppointments he shares may feel inconsequential to him, for me it’s a way to once more connect to him during a time when I’m opening my hand and watching him begin to soar. In those moments, I know our time like this is fleeting and I know that his little brother will be following close on his heels as they forge their way in the world but I also see ways that, for now, I can capture the moments of their childhood and connect with them in the way that only a mother can. While these everyday moments often go overlooked, they are the times that I truly treasure. 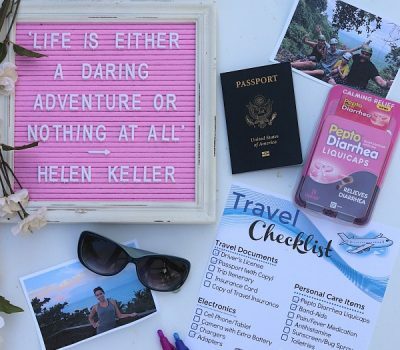 But, because I know that these times are fleeting, I try to find ways to not only celebrate the everyday things but also make the big moments memorable. That means that when report card day rolls around, I plan a milkshake party without waiting for grades to come home because I know that I have a limited number of these important days of childhood left to celebrate. 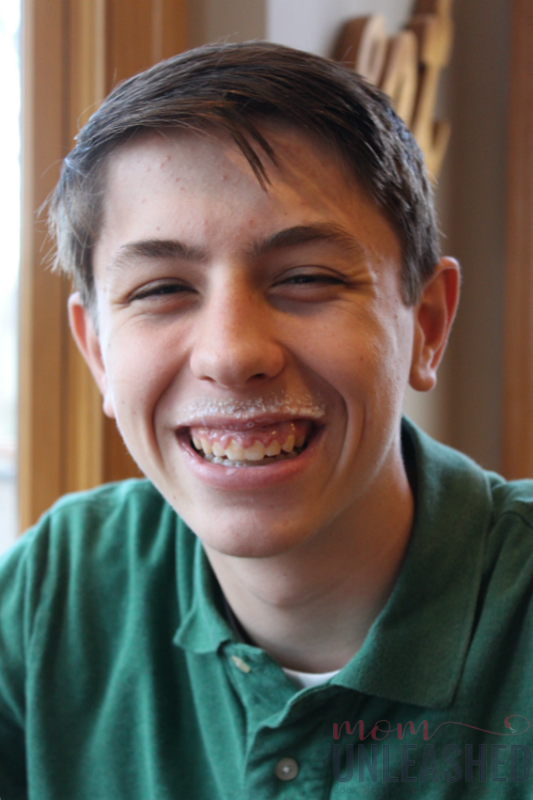 It means that when one of the boys scores the winning goal in a game, I memorialize the moment with a sweet, milk-filled treat so that for the rest of their lives, every time they see one of my milkshakes, they will remember how that big win felt. 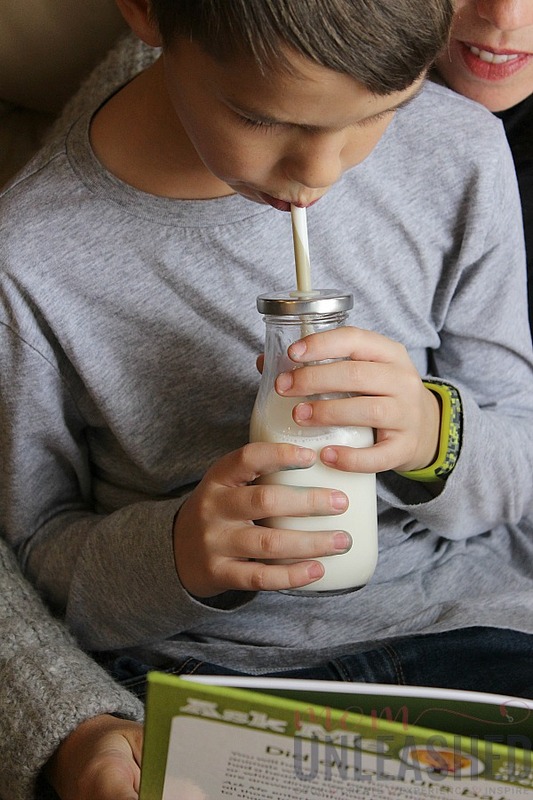 It means that I take time to create a simple memory that’s really so much more by letting my littlest get in the kitchen and help me whip up the Cookies and Milk(Shakes) that have punctuated the memorable moments in their lives. 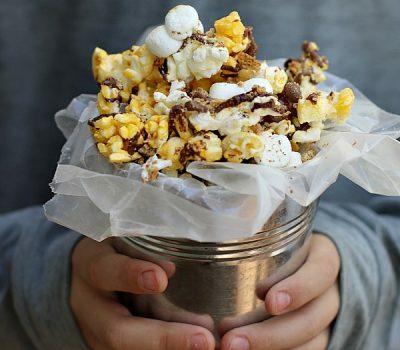 This fun take on classic cookies and milk is a wonderful way to celebrate everyday moments. 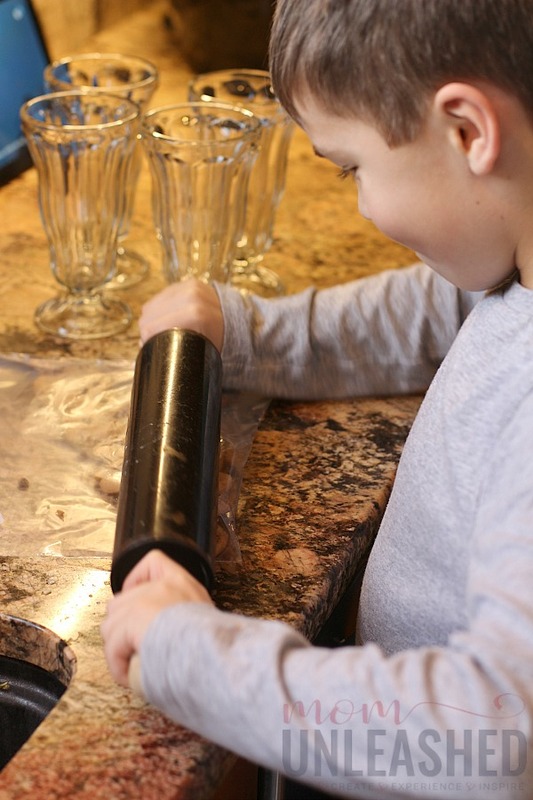 Add the chocolate chip cookies to a bag and using a rolling pin, crush them up. Dip the rim of your glasses into the vanilla icing and then roll them in the crushed chocolate chips. Set the prepared cups aside. 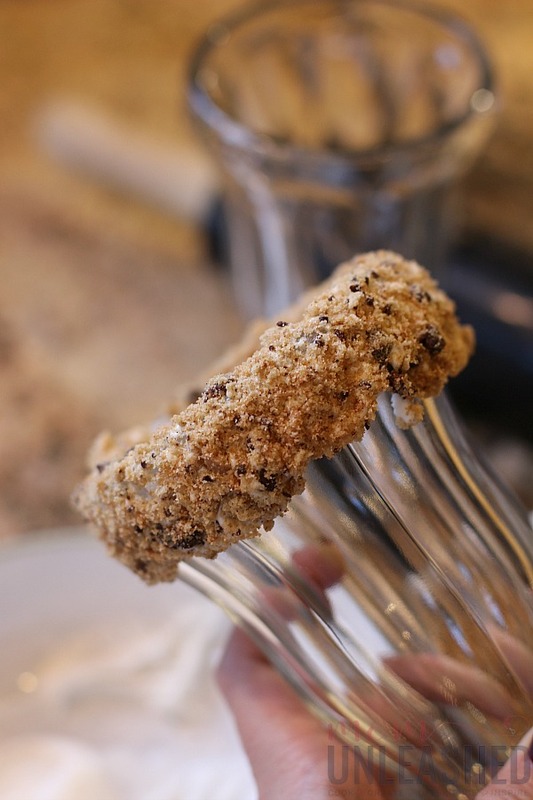 Add the ice cream, milk and remaining chocolate chip crumbles to a mixer and blend until smooth. Pour the milkshakes into the prepared glasses. Garnish with whipped cream and a chocolate chip cookie. My littlest loves to help me whip up these Cookies and Milk(Shakes) and truthfully, making them with him is a memory I will always treasure. To start the Cookies and Milk(Shakes), I add ten chocolate chip cookies to a bag and let him to go work with a rolling pen crushing them up. 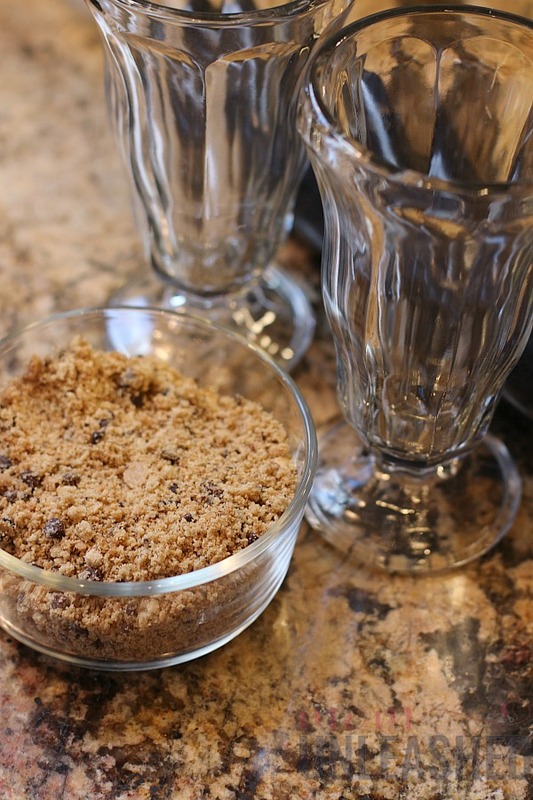 Once the cookies are crushed up, I let him help me transfer them to a bowl and then we roll the rims of our milkshake glasses in our vanilla icing and the cookie crumbs to create a delicious treat around the rim of the glass. 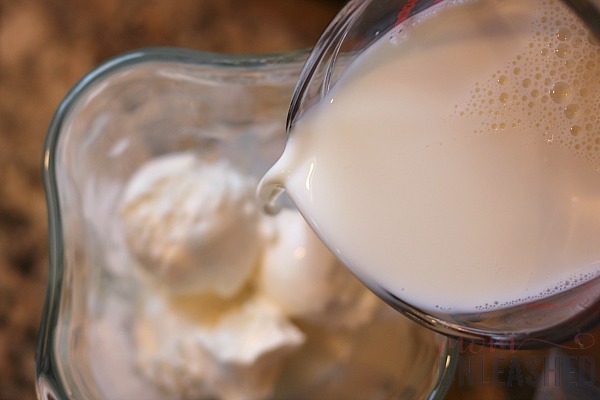 Next, I add my vanilla ice cream to the blender and watch as he pours in the milk, spilling a little bit out and gigging all the while. 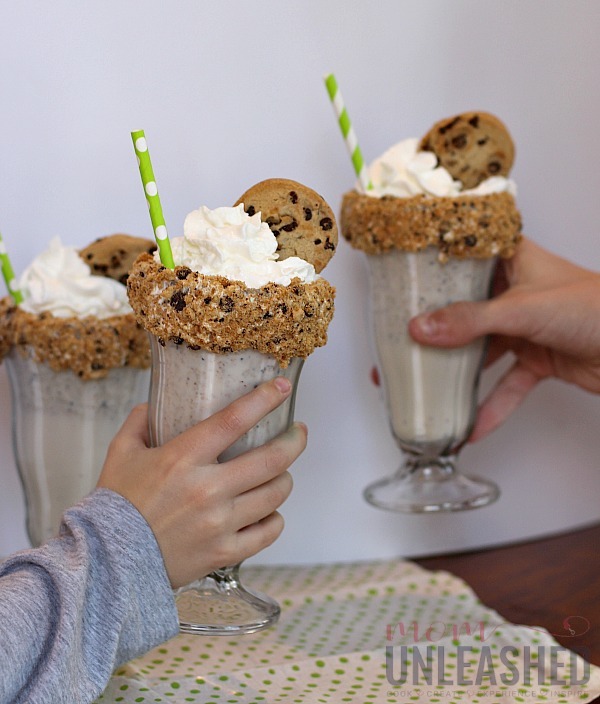 After adding what’s left of our crushed chocolate chip cookies to the blender, we mix it all together and then pour the Cookies and Milk(Shake) into our waiting glasses, garnishing it with whipped cream and a full cookie for a treat that has been the taste of so many memorable moments. 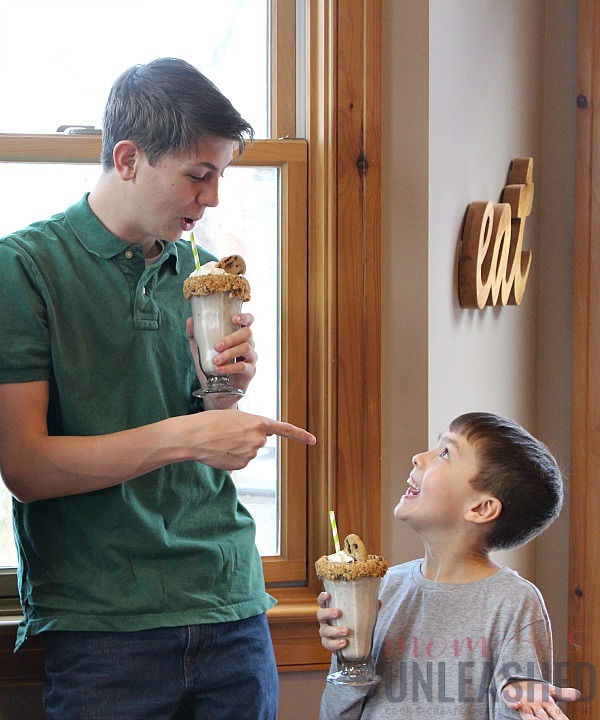 Once our Cookies and Milk(Shakes) are done, we’re able to enjoy them together as we laugh and celebrate and create memories that will stay with us forever. While I know that in coming years, the boys won’t remember that afternoon that we celebrate the not-so-perfect report card or made a memory after a game was won but they will remember that in our home, big and small moments were always important. They will remember that anytime they wanted to talk, connect, be comforted or celebrate, I was always there waiting to make every moment of their lives matter with a glass of milk in hand. 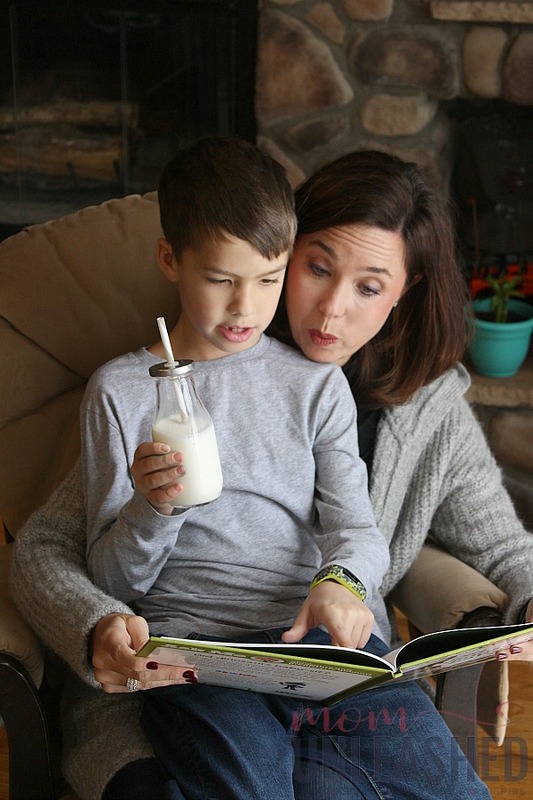 Now, it’s your turn to share how milk has played a role in some of the moments that matter most to you. 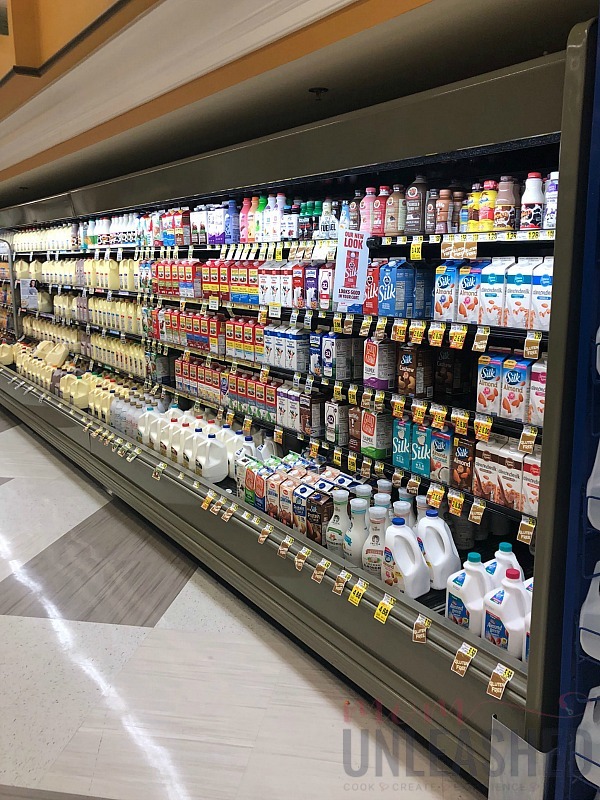 To start, head to you local store today and pick up your favorite Milk Life products. The winner of this awesome sweepstakes will receive a year’s worth of free milk to help make creating all those real moments more delicious. For full rules and guidelines, please click here. So what are you waiting for? Make more moments. Love more of what’s real. And remember to share how you did it along the way in the “Love What’s Real” sweepstakes. 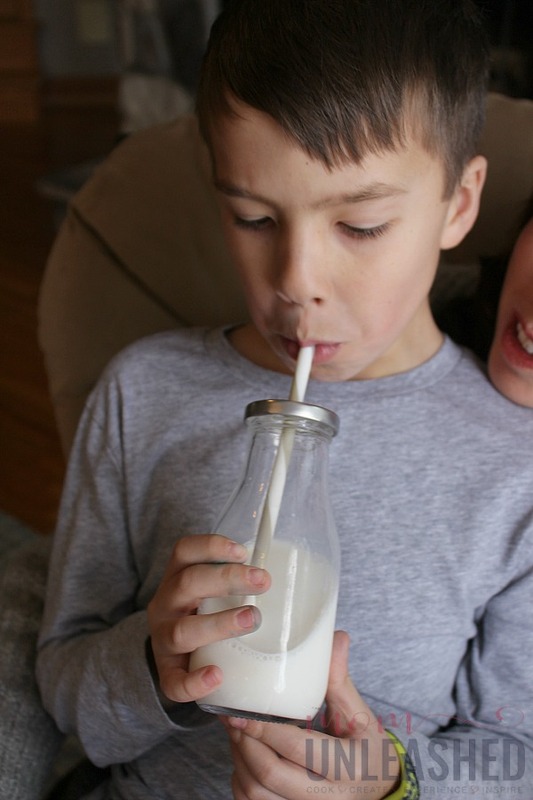 Now tell me, what real parenting moments are you making memorable with milk? Cookies and milk is a true comfort classic treat. We have never made them how you do we like to dunk our cookies. oh my gosh GET OUT ! i love this idea and def think my family would LOVE this as we are a HUGE milk and cookies fans- grabbing the ingredients now! Cookies and milk is the cure all in my opinion. My kiddos love nothing better than making homemade chocoalte chip cookies and eating them warm out of the oven with a glass of milk. Now this sounds like an absolutely delicious treat, perfect for when the family are together and you want to spend some “you” time. Snuggling with a book or in front of the TV. Oo I think my kids would love this. I would too! I’ve always liked milkshakes. It’s been ages since I’ve had one. I love creating special moments with my kids, especially when I’m able to spend one on one time with each of them. I think we’ll have to incorporate this delicious milkshake idea into our next bonding session. I really enjoyed reading this post. I loved your family moments. 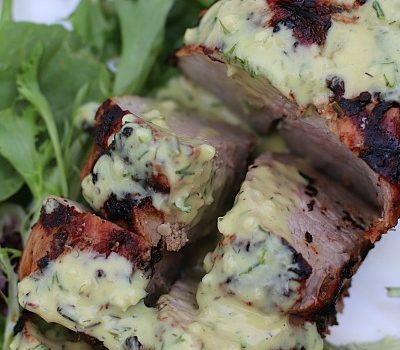 Looking forward to giving this recipe a try. I know my sons would love this treat! I’ve found that a good snack is a great way to start a conversation with older kids. My daughter always had trouble sleeping when she was a kid. So every night we would make her a cup of warm milk to drink when she was being read to. It was a sweet little tradition. Now all I keep thinking about is having a milkshake. I’m going to have to make one for the kids tomorrow and surprise them! That’s so cool how you did that over the rim of the glass, and I absolutely love your milkshake cups! Just like the restaurant kind! What decadent looking treats! I would be all over that! 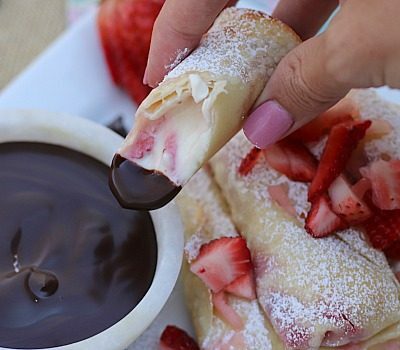 I need to make these for my girlfriends. Oh how fun this treat is. My son who loves milk would absolutely drool for this one, yum! OMG! 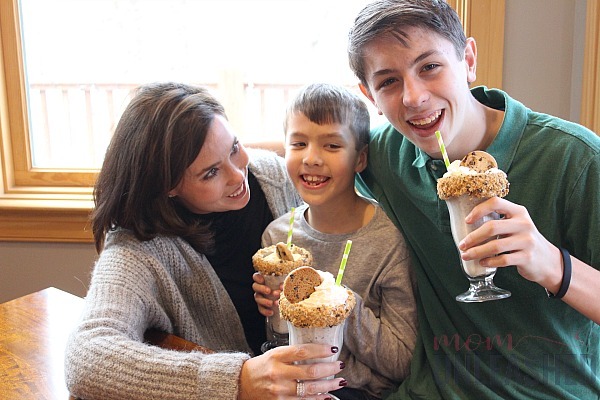 What an amazing idea to create memories with a milkshake and cookies. So easy but so fun and delicious! I just adore it! Those shakes look so amazing! I’m going to have to make some of them with my daughters. They’re going to really love these! OMG, I love how you used the cookies around the cup. 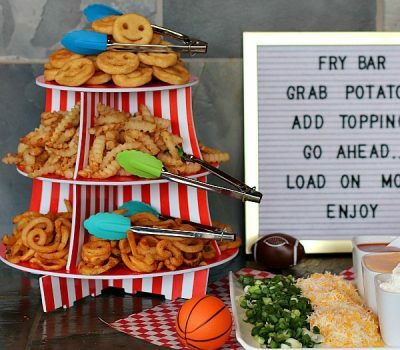 This looks delicious, I bet my kids would love it! I think it is great that you can still get the moments with your older son. It is so different to watch my kids drift away into independence. 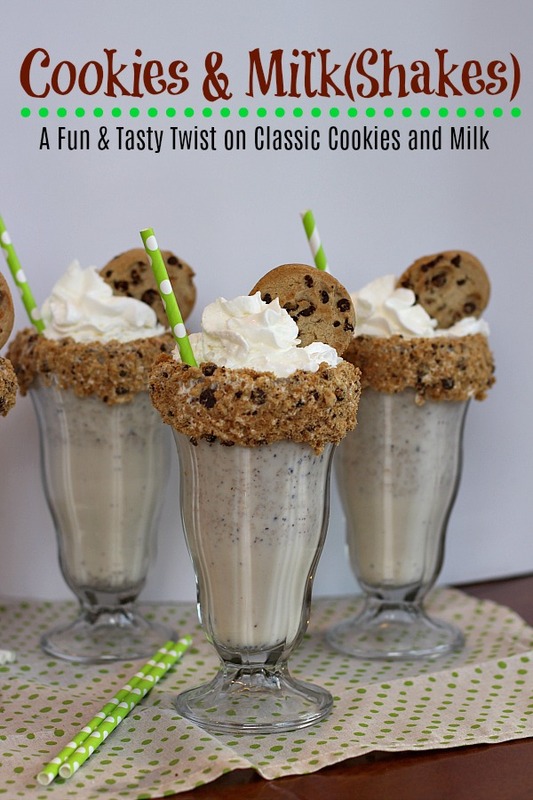 I love this cookie milk shake idea my kids will love it, I will make it for them. This is so great having a great time with your kids and doing something special for both of you is totally awesome.